However, I recently found the login link hard to find. 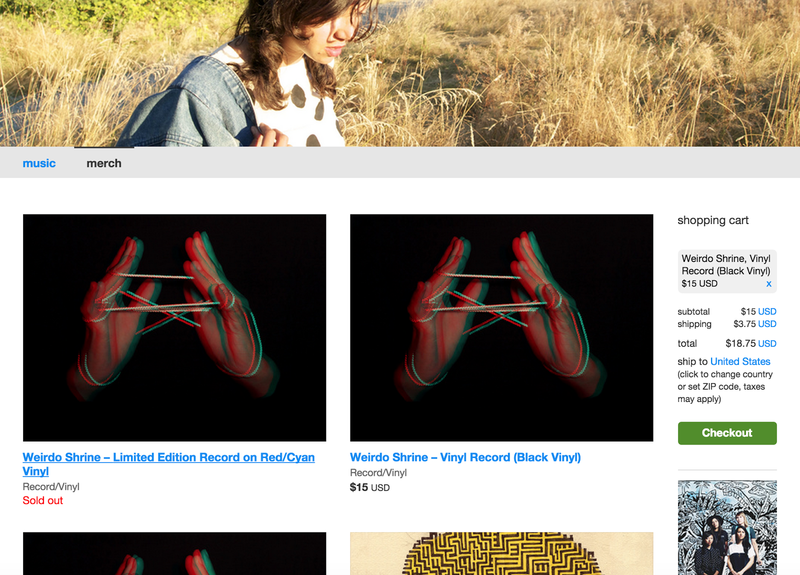 When I did a Google search for 'Bandcamp La Luz', I linked directly to the band's Bandcamp page and was able to add their latest album to my cart. I then wanted to login to the site to see what albums I had purchased recently but I couldn't find the login link. I expected it (based on experience with other sites) to be located top right of the page and was surprised when I scrolled and found it at the very bottom near several unrelated footer links. Meanwhile, in another browser tab, I did a Google search for just 'Bandcamp', navigated to the Bandcamp home, and the login link was located top right, where I expected. Why is it located one place here and another place there? The login link should always be consistently located top right. It's just where users expect it to be. By leveraging users' mental modal, you create an application that's intuitive, where users don't have to think about where things are or how things work.